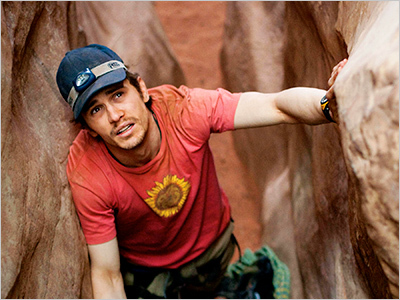 Entertainment Weekly got the drop on the exclusive photos from Danny Boyle’s latest flick 127 Hours. 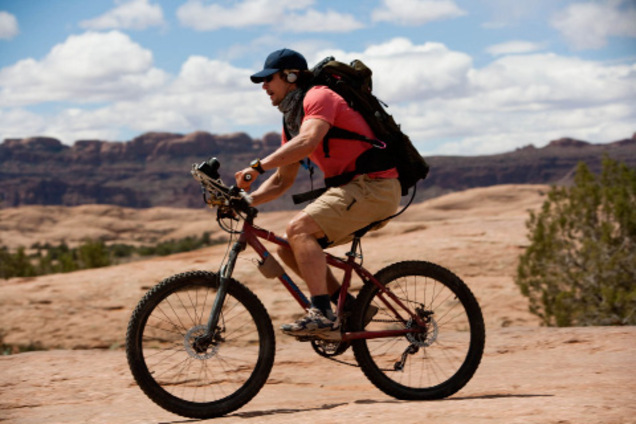 The highly anticipated film made by the entire team that brought us the 2008 Best Picture Slumdog Millionaire tells the story of Aron Ralston, the rock climber whose right arm got pinned under a boulder while climbing in slot canyons near Moab, Utah. After being stuck for five days, Ralston amputated his own arm with a dull multi-tool. 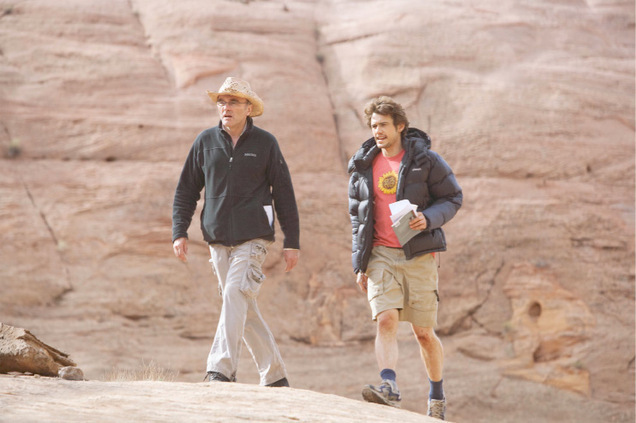 Last month I had the chance to see the first footage from the film (which can be found here). Finally, the exclusive photos have made their way online. 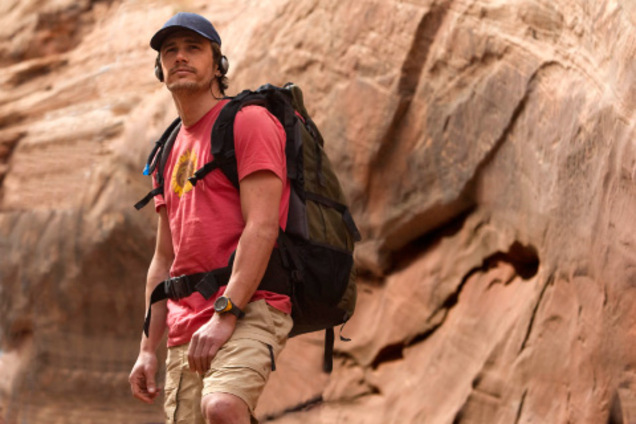 127 Hours opens nationwide in the U.S. on November 5.